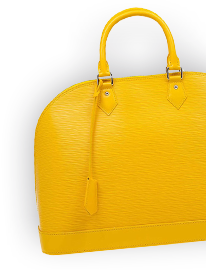 Welcome to the theluxurycloset.com the website (the "Site") of THE LUXURY CLOSET, covering all registered domain endings, such as ".com". The Luxury Closet provides its services and Terms of Service ("TOS") to you subject to the terms and conditions ("Terms & Conditions") detailed herein. By using our Site, application and services you confirm that you are either at least 18 years of age or are accessing the Site and its services under the supervision of a parent or legal guardian. Individuals who did not register their e-mail address at Site might not be able to access or use all the information and functionality presented on Site. For avoidance of doubt, such individuals are also considered a "User". If any of these conditions are deemed invalid, void, or for any reason unenforceable, the parties agree that the court should endeavor to give effect to the parties' intentions as reflected in the provision, and the unenforceable condition shall be deemed severable and shall not affect the validity and enforceability of any remaining condition. From time to time The Luxury Closet may offer special promotional offers, which may or may not apply to your The Luxury Closet account. You agree to be bound by any additional terms and conditions for these special offers. Headings are for reference purposes only and do not limit the scope or extent of such section. The laws of the United Arab Emirates will govern this TOS and the relationship between you and The Luxury Closet. The failure of The Luxury Closet to act with respect to a breach by you or others does not waive its right to act with respect to subsequent or similar breaches. The Luxury Closet does not guarantee it will take action against all breaches of this TOS. Except as otherwise expressly provided in this TOS, there shall be no third-party beneficiaries to this TOS. This TOS constitutes the entire agreement between you and The Luxury Closet and governs your use of the Site, superseding any prior agreements between you and The Luxury Closet with respect to the Site. The Luxury Closet and Site are owned and represented by Tradelux General Trading LLC having its registered office and place of business at Dubai, Novotel Dubai Al Barsha, API Trlo Tower, Office 901 PO Box 502626, Dubai, United Arab Emirates ("UAE"). These TOS subject to the Terms and Conditions mentioned here are governed by, and construed in accordance with, UAE law. In the site, The Luxury Closet provides users with access to sales of lifestyle, fashion and luxury products and services online (the "service"). You are responsible for obtaining access to the site, and that access may involve third-party fees (such as internet service provider or airtime charges). In addition, you must provide and are responsible for all equipment necessary to access the site. The Luxury Closet Inc, Tortola, BVI owns the site. The Luxury Closet grants you a limited license to access and make personal use of the Site and the Service. This license does not include any downloading or copying of account information for the benefit of another vendor or any other third party; caching, unauthorized hypertext links to the Site and the framing of any Content available through the Site uploading, posting, or transmitting any content that you do not have a right to make available (such as the intellectual property of another party); uploading, posting, or transmitting any material that contains software viruses or any other computer code, files or programs designed to interrupt, destroy or limit the functionality of any computer software or hardware or telecommunications equipment; any action that imposes or may impose (in The Luxury Closet's sole discretion) an unreasonable or disproportionately large load on The Luxury Closet's infrastructure; or any use of data mining, robots, or similar data gathering and extraction tools. You may not bypass any measures used by The Luxury Closet to prevent or restrict access to the Site. Any unauthorized use by you shall terminate the permission or license granted to you by The Luxury Closet. In consideration of your use of the Site, you represent that you are of legal age to form a binding contract and are not a person barred from receiving services under the laws of the United Arab Emirates or other applicable jurisdiction. You also agree to provide true, accurate, current and complete information about yourself as prompted by the Site's registration form. If you provide any information that is untrue, inaccurate, not current or incomplete (or becomes untrue, inaccurate, not current or incomplete), or The Luxury Closet has reasonable grounds to suspect that such information is untrue, inaccurate, not current or incomplete, The Luxury Closet has the right to suspend or terminate your account and refuse any and all current or future use of the Site (or any portion thereof). If you use the Site, you are responsible for maintaining the confidentiality of your account and password, and for restricting access to your computer. You agree to accept responsibility for all activities that occur under your account or password. Because of this, we strongly recommend that you exit from your account at the end of each session. You agree to notify The Luxury Closet immediately of any unauthorized use of your account or any other breach of security. The Luxury Closet reserves the right to refuse service, terminate accounts, or remove or edit content in its sole discretion. The Luxury Closet does not endorse and is not responsible for (a) the accuracy or reliability of any opinion, advice or statement made through the site by any party other than The Luxury Closet, (b) any content provided on linked sites or (c) the capabilities or reliability of any product or service obtained from a linked site (d) any technical or human errors that arise from software, tech, IT (Information Technology), bug, malware, virus attack, hack, not limited to these unforeseen situations which may or may not result in inaccurate content, pricing (The Luxury Closet pricing) and original retail price, description, etc. Other than as required under applicable consumer protection law, under no circumstance will The Luxury Closet be liable for any loss or damage caused by a user's reliance on information obtained through the site or a linked site, or user's reliance on any product or service obtained from a linked site. It is the responsibility of the user to evaluate the accuracy, completeness or usefulness of any opinion, advice or other content available through the site, or obtained from a linked site. please seek the advice of professionals, as appropriate, regarding the evaluation of any specific opinion, advice, product, service, or other content. All promotional dates refer to the current year, unless otherwise stated. You expressly understand and agree that The Luxury Closet and its subsidiaries, affiliates, officers, employees, agents, partners and licensors shall not be liable to you for any direct, indirect, incidental, special, consequential or exemplary damages, including, but not limited to, inaccurate pricing due to human error, technical error or bug, software glitches etc., damages for loss of profits, goodwill, use, data or other intangible losses (even if The Luxury Closet has been advised of the possibility of such damages), resulting from use of the site, content or any related services. You agree to indemnify and hold The Luxury Closet (and its officers, directors, agents, subsidiaries, joint ventures, and employees) harmless from any claim or demand, including reasonable attorneys' fees, or arising out of or related to your breach of this TOS, or your violation of any law or the rights of a third party. We accept payments via Visa and MasterCard credit/debit cards, Cash on Delivery, Cash on Location (where available), PayPal and Bank Transfer. Cash on Delivery payment option is available without limitations for deliveries in UAE, KSA, Kuwait and Bahrain. COD deliveries to Oman are limited to order value of up to USD 800. When you use the Site or send emails to The Luxury Closet, you are communicating with The Luxury Closet electronically. You consent to receive communications from The Luxury Closet electronically. The Luxury Closet will communicate with you by email or by posting notices on the Site. You agree that all agreements, notices, disclosures and other communications that we provide to you electronically satisfy any legal requirement that such communications be in writing. An additional fee for the Cash on Delivery service of 30 AED in U.A.E. is applied. Messages by non-spokesperson employees of The Luxury Closet purporting to speak on behalf of The Luxury Closet or containing confidential information or expressing opinions concerning The Luxury Closet. Identical (or substantially similar) messages to multiple recipients advertising any product or service, expressing a political or other similar message, or any other type of unsolicited commercial message. This prohibition includes but is not limited to a) Using The Luxury Closet invitations to send messages to people who don't know you or who are unlikely to recognize you as a known contact; b) Using The Luxury Closet to connect to people who don't know you and then sending unsolicited promotional messages to those direct connections without their permission; and c) Sending messages to distribution lists, newsgroup aliases, or group aliases. The Site or third parties may provide links to other World Wide Web sites or resources. Because The Luxury Closet has no control over such sites and resources, you acknowledge and agree that The Luxury Closet is not responsible for the availability of such external sites or resources, and does not endorse and is not responsible or liable for any content, advertising, products or other materials on or available from such sites or resources. You further acknowledge and agree that The Luxury Closet shall not be responsible or liable, directly or indirectly, for any damage or loss caused or alleged to be caused by or in connection with use of or reliance on any such content, goods or services available on or through any such site or resource. The trademarks, logos and service marks ("Marks") displayed on the Site are the property of The Luxury Closet and other parties. Users are prohibited from using any Marks for any purpose including, but not limited to use as metatags on other pages or sites on the World Wide Web without the written permission of The Luxury Closet or such third party which may own the Marks. All information and content including any software programs available on or through the Site ("Content") is protected by copyright. Users are prohibited from modifying, copying, distributing, transmitting, displaying, publishing, selling, licensing, creating derivative works or using any Content available on or through the Site for commercial or public purposes. The Luxury Closet is not associated with the brands that it sells, which are a registered trademark of the respective brand owners and not of The Luxury Closet. The Luxury Closet's agent for notice of claims of copyright or other intellectual property infringement can be reached via email at [email protected] with the subject line "intellectual property". The Luxury Closet may update this mailing address from time to time. You agree that changes to this mailing address shall not constitute a modification to this TOS. Notwithstanding any other provisions of this TOS, or any general legal principles to the contrary, any provision of this TOS that imposes or contemplates continuing obligations on a party will survive the expiration or termination of this TOS. The is section constitutes a binding agreement between User (hereafter within these Buying Terms "Buyer") and The Luxury Closet. The Luxury Closet is in no way associated with the brands that it sells. Buyer acknowledges that The Luxury Closet's authentication process is in-house and independent of any brand association of any kind or nature. Brands mentioned on the Site are not involved in the authentication of Item being sold and none of the brands owners or Sellers assumes or own any responsibility for any Item purchased through the Site. As a courtesy to the Buyer, The Luxury Closet may or may not provide descriptions and condition description of Item on site and through other direct or indirect; online or off-line means of communications. Buyer should note that descriptions of Item are not warranties and that each Item is sold "as is". Buyer canceling a pay-and-reserve plan and an installment order has to contact The Luxury Closet via email at [email protected] informing the wish to do so. The Luxury Closet does not claim ownership of any materials you make available through the Site Submit- my- items page, Live agent, email, or through any other method or means. At The Luxury Closet's sole discretion, such materials may be included in the Service in whole or in part or in a modified form. By using The Site and "Submit my items" you agree to only upload and submit your items in JPEG, GIF and PNG format. You hereby represent, warrant and covenant that the images you provide are original and you hold the rights to the images/ material/ item(s) you upload on our site. You agree not to include/ upload/ converse/ transact anything that is in anyway rude, offensive, illicit and forbidden according to the law prevailing in the jurisdiction of UAE. The Luxury Closet does not allow you to post or make postings on our Site. You may submit your request or queries through our live chat, emails or call us through the Site or Service. You may not upload to, distribute or otherwise publish through this Site any Postings of any kind and nature. The Luxury Closet attempts to be as accurate as possible. However, The Luxury Closet does not warrant that product descriptions, titles, attributes, specifications, price or other content or any other information related to the product(s) is accurate, complete, reliable, current, or error-free. The Luxury Closet holds ownership in the way the titles or content are laid out arranged and standardised. The "estimated retail price" is an estimate/ guess/ judgement based on research from the brand's main site or other competitive sites. The buyer agrees that The Luxury Closet in its sole discretion will determine the initial estimated selling price for the item (the "Estimated Retail Price"), based on its evaluation of the item together with its determination of the current market price for each specific item in question. "The Luxury Closet Price" means the decided selling price of a product which is a result/ consequence of a bidding agreement between the seller and The Luxury Closet. We regularly check estimated retail prices against prices recently found on The Luxury Closet and other retailers. Certain products may have a "Was Price" displayed when the item goes on sale, which is determined using recent price history of the product on The Luxury Closet. With respect to items on sale on The Luxury Closet, we cannot warrant the price of an item until your order is confirmed by us. Despite our best efforts, a small number of the items in our catalog may be mispriced. If the correct price of an item sold is higher than our stated price, we will, at our discretion, either contact you for instructions before shipping or cancel your order and notify you of such cancellation and the refund thereof. The Luxury Closet is not liable to contract with the customer for any item that is priced incorrectly. The Luxury Closet generally does not confirm and ship the order until after we have received approvals from our third party Partner authentication services who verify your credit card details and account. The Luxury Closet may be unable to successfully deliver items because of a mismatch in live inventory listings with our partners. In such cases, The Luxury Closet may cancel such orders if an item is unavailable, and make a full refund if the order has been paid for. The placement of an order does not guarantee delivery of an item. The Luxury Closet is not liable for delay in orders because of custom clearances at destination. The Luxury Closet will NOT deal or provide any services or products to any of OFAC sanctions countries in accordance with the law of UAE. Regulations may prohibit importation of items made with exotic materials (e.g. crocodile skin) to certain countries. Please contact Customer Service Department for more information. Buyer is liable to read specific return terms and conditions and other policies related to returns here https://theluxurycloset.com/site/returns and be informed prior to placing or initiating a return about the refund policies. Item is returned undamaged in the original condition it was received, with The Luxury Closet packaging includes; original papers, original packaging and tags still attached. Item was not confirmed as a final-sale, as was displayed or otherwise communicated on Site or with Buyer ahead of purchase. Item reaches The Luxury Closet office in Dubai within 10 days of the Buyer's receipt of the item. Within 5-7 business days upon receipt of your returned merchandise, we will issue a refund to you. If you paid by cash or Bank Transfer we will refund you through cheque or transfer it back. If you paid with a credit card or Paypal, we will issue a refund to the same card. Refund price includes only the cost of the item, and does not include any shipping fee paid, or import & admin charges. Any conversion or other fees paid by buyer on the card transaction to the card company are not refunded by The Luxury Closet. Items that are marked as ‘No returns on this item’ are final sale items. Once purchased, such items cannot be returned. Items purchased via Payfort can be returned/cancelled for a refund minus a 10% cancellation fee. Return must be initiated within 3 days after delivery. Applicable interest charges that are due to the issuer bank will be deducted. The Luxury Closet under no circumstance is liable for the payments/ interest charges, bank charges, fees, etc. deducted by the issuer bank or Payfort. If the cancellation is initiated after the dispatch of the order, The Luxury Closet will charge a restocking fee along with the applicable interest charges due to the issuer bank. In unforeseen and rare case scenarios The Luxury Closet or our suppliers holds rights and may choose to cancel a Payfort order with or without prior information. In such cases only will The Luxury Closet refund the entire amount. The Luxury Closet is not liable to entertain any such returns or cancellations of Payfort orders after 3 days of receipt of order. All interest payments due to the issuer bank are sole liability of the customer. The Luxury Closet holds no liability of any such payment and interest charges related communication. As a courtesy to Buyer Returns in the above mentioned geographic region are free, which means The Luxury Closet will take care of the collection of the item. Payments made by cash can be refunded by bank transfer (applicable charges apply) or cheque (only within U.A.E). Payments via card are refunded back to the card. For returns from within the GCC, The Luxury Closet will arrange the collection through Aramex. All import & admin charges are the responsibility of the Buyer. In the event of the sale of an inauthentic item, The Luxury Closet wishes to offer a lifetime authenticity guarantee for all of our items.This means that buyer will receive a 100% refund, including the cost of return shipping. United Arab Emirates (UAE) and Kingdom of Saudi Arabia (KSA) have committed to implement VAT starting 1 January, 2018. With a standard rate of 5%, VAT will apply to most of the supplies of goods and services supplied from this date. Businesses / individuals in UAE and KSA are required to comply with the new VAT rules and obligations - charge VAT, issue tax invoices, file periodical VAT returns and pay VAT when due to the tax authorities. The Luxury Closet also has to follow the rules and obligations for VAT set by the Governments in UAE and KSA. All prices shown on the The Luxury Closet website are inclusive of VAT for customers from the UAE. The exact VAT applicable to your order will be calculated upon checkout based on the selected delivery destination. In addition, for orders delivered outside the UAE local import taxes may be applied to your order and these will be shown at checkout. The Luxury Closet items are shipped from Dubai, UAE. Almost all countries apply custom duties on import of items. For the orders outside GCC, import and admin charges has to be paid by the buyer at the time of delivery. . Buyer is liable to check duty rates for your country, you can use The Luxury Closet items are shipped from Dubai, UAE. Almost all countries apply custom duties on import of items. For the orders outside GCC, import and admin charges has to be paid by the buyer at the time of delivery. . Buyer is liable to check duty rates for your country, you can use dutycalculator.com as a reference guide. The customers who ordered items to KSA, Kuwait and Bahrain will be charged the additional 5% customs duty upon checkout from the website; no additional customs fees will be required in this case. Custom duties on orders placed via credit card (CC), bank transfer (BT), PayPal, and installments via Payfort are collected by the courier partner directly at the time of delivery. The Luxury Closet assures of product authenticity and offers a money back guarantee for inauthentic items. However, we are not liable to refund for modifications in items from the seller’s end. The Luxury Closet wishes to inform that we do not ship any precious metal/ gemstone items to Kuwait. This restriction may include fine jewellery and precious metal watches. Regulations may prohibit importation of items made with exotic materials as well. The Luxury Closet provides all possible payment options for our customer's convenience. Cash on Delivery (COD), Cash on Location (COL), Bank Transfer (BT), Credit Card (CC), PayPal and Third party payment services, being some of them. Please note some payment methods might be unavailable for specific destination countries, specific products or customers. In certain cases, for payments made via Credit Card, we might get in touch with you to request for additional personal documents, such as a passport copy or ID card, in order to confirm your order. This is required to verify the identity of the buyer and protect the cardholder against any possibility of fraudulent payments. The Luxury Closet has the right to suspend or terminate the payment options available on your account and refuse any and all current or future use of the payment options available on the site (or any portion thereof). The Luxury Closet is not liable or bound to inform or send specific communication to the user regarding the changes on the website (or any portion thereof). The customer is responsible to get in touch with The Luxury Closet in order to get the payment options reactivated. Cash on delivery (COD) to Oman is available for orders under USD 800. While, COD orders to UAE, KSA, Kuwait and Bahrain have unlimited COD order value. We do not accept COD orders for fine jewelry and precious metal watches destined to Kuwait and Bahrain. Restrictions to ship precious metal and gemstone items to GCC countries is imposed by the GCC Customs. There is an obligation for the buyer to pay the amount upon delivery for Cash on Delivery orders. Refusal to accept shipment will lead to legal implications including a ban on any further orders. An additional fee of AED 30 is applied for UAE Cash on Delivery. We accept payments through bank transfer for some countries. Please contact our customer service team to learn more. Full amount must be received by us via bank transfer for the order to be confirmed. Charges (payment and refund) are responsibility of the buyers. We accept payments through credit cards, except American Express. The cards are charged on site via our secure payment partners checkout.com or payfort.com for the amount of the order value. Credit card companies may have additional charges based on the currency of your card. The Luxury Closet allows you to make a purchase on "Pay and Reserve" which runs on the layaway method of payment and delivery. Pay and Reserve is currently available for items that are above USD 300 only and for items that have been on sale for more than 30 days on our website. Customer has to complete the payment within a period of 30 days from the time the order is received by our Customer Service Team. Since currency exchange rates can go up or down, for all orders booked in EUR, GBP, INR the amount due would be recalculated daily based on the relevant exchange rate against the USD for the day. Please note that the currency fluctuation can result in the amount due to differ from one payment cycle to the other. Kindly note that item is delivered only after the payment cycle is completed. If payment is incomplete after 30 days of reservation, an extension fee of 5% of the total value of the item will be charged at the beginning of each month of extension. Once placed, an order can be canceled with a penalty of 25% charged as a cancellation fees calculated from the value of the item or total value of the order. The Luxury Closet sends reminder emails to buyers for payments that are due and delayed. It is the sole responsibility of the buyer to track and make timely payments. If payment is incomplete after 60 days from the reservation, you acknowledge that The Luxury Closet has the right to cancel the order and deduct from the amount paid the aforementioned fees and penalties. Your order will be cancelled and the reserved item(s) will be put back on sale. The Luxury Closet is not liable to honor/ refund/ acknowledge any such abandoned orders. Buyer can only redeem one promotion/ coupon/ voucher code at a time; per transaction. The Luxury Closet does not allow redeeming more than one promotion/ coupon/ voucher codes for one transaction. Validity and offer of the coupon/ voucher/ promotion code applicable per transaction is dependent on the T&Cs published on the promotion banner or voucher. The Luxury Closet reserves rights to withdraw any promotional coupon code without any prior intimation to the buyer. The results of such above mentioned competitions and contests will not discussed by The Luxury Closet. The Luxury Closet holds rights to not disclose any such information. The participants to such competitions have no rights to contest or question the results in anyway. All watches sold on The Luxury Closet have been vetted authentic and are in good working condition. The Luxury Closet clearly mentions in the product details under ‘Includes’ and the condition description sections if the watch features allowed any modifications like aftermarket diamonds and modified straps. The Luxury Closet does not give warranty for modified watches. The Buyer is informed that authorised service centers or brands will not recognise these modified watches and that the resale value of such watches cannot be compared to 100% authentic watches. The buyer is ultimately liable to read the warranty clauses mentioned in the ‘warranty and returns’ section of the product. The Luxury Closet uses a consignment method of selling which means that Seller gets paid only after the item is sold and The Luxury Closet has received the payments in total. For the service that The Luxury Closet provides, it charges a nominal commision fee. By agreeing to sell with the Site, Seller is deemed to agree to pay the commission applicable for selling the item(s). The "estimated retail price" is an estimate/ guess/ judgement based on research from the brand's main site or other competitive sites. The seller agrees that The Luxury Closet in its sole discretion will determine the initial estimated selling price for the item (the "Estimated Retail Price"), based on its evaluation of the item together with its determination of the current market price for each specific item in question. With respect to items on sale on The Luxury Closet, we cannot warrant the price of an item until your order is confirmed by us. Despite our best efforts, a small number of items in our catalog may be mispriced. If the correct price of an item sold is higher than our stated price, we will, at our discretion, either contact the seller for instructions before shipping or cancelling the order and notify him/her of such cancellation and the refund thereof. The Luxury Closet is not liable to contract with the customer for any item that is priced incorrectly. The Luxury Closet will provide a suggested price range after an item is submitted. The quote will be valid only for 20 days, starting from the day of quotation. In cases when the items are already with The Luxury Closet but have quotations not yet approved by the seller, the items will be auto-approved to the highest amount from the given price range once the quotations expire. The Gulf Cooperation Council (GCC) of which the UAE and Kingdom of Saudi Arabia are member states along with Qatar, Kuwait, Bahrain, and Oman will have VAT implementation at a standard rate of 5%. From the 1 January 2018, businesses/ individuals in the United Arab Emirates (UAE) and Kingdom of Saudi Arabia (KSA) are required to comply with VAT rules and obligations. Charging of VAT, issuing tax invoices, filing periodical VAT returns and paying of VAT, if any due to the tax authorities. The Luxury Closet will comply to the rules and obligations for VAT set by the Governments of all jurisdictions we do business in and will calculate the VAT % as per what the Legislation specifies. The payout as per agreement amount refers to the amount payable to the Seller in respect of the goods and will be exclusive of VAT. The Luxury Closet is not liable to pay the Seller and has the right to hold the payout(s) that may be due to the Seller’s non-compliance and defection as per the VAT Decree- Law applicable in the jurisdiction of business and shipping. Registering and complying to VAT law is the sole responsibility of the seller. Seller is required and responsible to communicate TRN details, Tax invoice in compliance with VAT Decree-Law and Executive regulations. Seller’s ‘My Profile’ page will have prices and payouts displayed excluding VAT. However, prices of items on the main website (multi-product pages and single product pages) may or may not show selling prices inclusive of VAT as this is calculated based on user’s login IP/ geographic location of browsing and shipping destination, if applicable. The Luxury Closet is not liable for any difference that the Seller may see in the final selling price on the website. Seller’s ‘My Profile’ page will have prices and payouts displayed excluding VAT. However, prices of items on the main website (multi-product pages and single product pages) may or may not show selling prices inclusive of VAT as this is calculated based on your login IP/ geographic location of browsing and shipping destination if applicable. The Luxury Closet is not liable for any difference that you may see in the final selling price on the website. The Luxury Closet provides a 90 days lock-in consignment period for sellers based in the UAE and 180 days lock-in consignment period for sellers outside of the UAE. The Luxury Closet charges commission depending on the selling price of an item. Effective from July 2, 2018, commission on items submitted will be computed and charged as per following structure. The commission structure is the fees that The Luxury Closet charges to process, hold and showcase Seller item(s) on the Site. The commission structure cannot be contested or questioned, and it is exclusive of VAT and other eventual import & admin charges associated to the sale of the merchandise. By selling with us Seller is considered to acknowledge and agree to the commission that is due to The Luxury Closet. The Luxury Closet sends intimation emails prior to inform about any such changes. The Seller is liable to read and follow up on the said changes. USD 25 is charged on the item regardless item value. Also 35% of the selling value is charged for first USD 2000 and 15% of the selling value exceeding USD 2000 (excluding VAT). USD 25 is charged on the item regardless item value plus 35% of the selling value on the first USD 2000, and 20% of the selling value exceeding USD 2000 (excluding VAT). The commission structure is applicable from July 2, 2018. After this date, we will apply the revised commission rates to all the new submissions. Commission structure applied for submissions before July 2, 2018 can beviewed here. To improve item's chance to sell, Seller can reduce (his) seller's payout at own discretion by using "Reduce Payout" feature. By editing and approving "Payout", Seller choose a new payout which will reduce the selling price of the item on the Site. The Luxury Closet recommends that after every at least after every 30 days until the duration of the consignment period, the Seller should choose a new payout which will reduce the selling price of the item on the Site. The Luxury Closet's commission is recalculated accordingly to new sell commission structure. Seller is reliable for the new chosen payout and is obliged to inform TLC immediately should the price reduction have been processed by mistake. The Luxury Closet can choose to continue or discontinue this feature with or without informing the Seller. To increase the chances of sale, The Luxury Closet reserves the right to apply an automatic price reduction on all items submitted for selling at least every 90 days since previous price reduction. The Luxury Closet will inform Seller about new payout amount via email with a minimum of 7-day notice. Seller is required either to proceed to price reduction of own choice or to inform The Luxury Closet within the 7-day notice period requesting item return. Should seller not agree to price reduction past the 7-day notice period, The Luxury Closet has the right to sell item at the reduced price and corresponding to new seller's payout. The reductions and methods are at the discretion of The Luxury Closet. The Seller agrees not to question or counter the automatic price reduction. The Seller has the right to request for a return if he/she does not wish to sell the item at the reduced price. It is at The Luxury Closet’s discretion to communicate the reduction applicable in advance. The Luxury Closet offers a price management service called, “Manage My Price” to Sellers where The Luxury Closet will manage the prices on behalf of the Seller. The Seller accepts that by agreeing to Opt In for this service, The Luxury Closet has his/her consent to manage the selling price and reduce Seller’s payout at its sole discretion, as well as to feature the Seller’s items during special promotions and sales. “Item Aging” refers to the number of days since the listing date of the item on the site. “Initial Seller Payout” refers to the payout amount initially approved by the Seller when the item was listed on the website. Seller’s action to Opt In is confirmation of its own understanding and consent for The Luxury Closet to manage and reduce prices of all listed items on Seller’s behalf. Once the Seller agrees to Opt In, The Luxury Closet will have the right to reduce the prices of all seller’s items at its sole discretion and without notifying the Seller of applied reductions. The Luxury Closet has the right to feature the Seller’s item during special promotions and sales,. Seller will be able to track the latest updated price for his/her items through “My Items” page of his/her account. Seller understands and agrees that, in case he/she wishes to discontinue the “Manage My Price” service and Opt Out, the payout at the time of opting out will be the last updated amount as per latest price reduction, regardless it was performed by the The Luxury Closet or the Seller. If the Seller does not agree to “Manage My Price” terms, it is Seller’s sole responsibility to Opt Out and revoke consent to “Manage My Price” service. The Luxury Closet agrees to pay proceeds from the sale of the consigned merchandise as stated in the Terms & Conditions. Payments will be processed upon seller's request. The seller can make a request for payout when the sale is finalized and the item has passed the return period. The Luxury Closet processes payments on the 1st day of every month for payments requested from the 1st through the 15th day of the previous month and on the 15th day of every month for payments requested from the 16th day through the last day of the previous month. If 1st and/or 15th of the month fall on a weekend or bank holiday, payments will be processed on the following business day. For instance, if the seller requests payment on April 10, he/ she would receive the payment on May 1 or on the following business day if May 1 is a weekend or bank holiday. Alternatively, if the payment is requested on April 20, the seller would receive the payout on May 15 or the next business day if May 15 is a weekend or bank holiday. Payment method can be selected by you. It can be a cheque mailed to you or a bank transfer. (Actual charges for courier company and bank transfer apply). Please fill the information in your 'My Info' section. Pay and Reserve plan: For items that have sold using our Pay and Reserve plan, payment will be made to you after first payment is received by us. For more information on our Pay and Reserve plan please click here. "Payout Range" refers to suggested price range by TLC, the Seller is required to choose a price from the provided payout range. The selected price then becomes the Seller's "payout". The Seller's payout is net of The Luxury Closet commission, that is deducted from The Luxury Closet price. Seller’s payout may change depending on the applied price reduction either performed by Seller or by The Luxury Closet under “Automatic price reduction” or “Manage My Price” service terms. If the seller wishes to get the item(s) back during/within the applicable 90/180 days consignment lock-in period as applicable, the cost of return shipping and import & admin charges will be borne by him/her. In addition, a minimum charge of USD 20 per item applies for shoes, clothes and textile accessories categories. A charge of USD 15 per item applies for all other categories. Seller is liable to check duty rates applicable for his/her resident country. The Luxury Closet recommends to use dutycalculator.com as a reference guide. The Luxury Closet reserves the right to purchase the item and pay the Seller the agreed payout before the end of 10-day notice period. If the item submitted by the seller is proved to be in unsellable condition as per our quality team, The Luxury Closet will contact him/her to arrange a return for the item. The cost of return shipping and import & admin charges will be borne by the Seller. If The Luxury Closet is unable to establish contact him/her within 30 days of the initial return request, The Luxury Closet has the right to donate/dispose items that cannot be authenticated or are in unsellable condition. Seller is responsible to track shipment of returned items and to follow up with courier partner to successfully receive the same. The Luxury Closet will not be responsible for any unsuccessful delivery that is returned. Returns of items that are found to be inauthentic will not be arranged and items will be destroyed by The Luxury Closet, as per UAE regulations. The Luxury Closet will inform the seller of any rejections due to counterfeit items. The Luxury Closet agrees to photograph and write copy for the consigned merchandise and list it for sale on the website, www.theluxurycloset.com. The Luxury Closet reserves the right to list the merchandise on partner websites. We will make every attempt to obtain the highest possible selling price for the consigned merchandise, but shall have full control on final pricing the item . We reserve the right to add up to the selling price eventual shipping fees, duties and other related charges. The Luxury Closet guarantees authenticity of every item offered for sale. Therefore, the seller warrants the consigned merchandise to be authentic. In the event that we determine the merchandise to be counterfeit, the seller agrees to pay back any payout for the item, authentication and shipping fees for return of item. The seller warrants to be in legal possession of the consigned merchandise. Therefore, proof of identification will be required upon collection of selected items in compliance with the provision of the Crime Investigation Department. The Luxury Closet will make every attempt to obtain the highest possible selling price for the consigned merchandise, but shall have full control on pricing the item. Automated price reduction will be applied without Seller's formal consent. No manifested objection is considered as consent. If the item of a seller who has chosen to opt-in is sold, the payout, which may be reduced as per our reduction terms of “Manage My Price,” will be the final payout received by the Seller. If needed, The Luxury Closet will clean the item before sale. We will bear the cost of cleaning. This excludes stain removal, color restoration or polishing. We reserve the right to decline merchandise for consignment at our discretion. The Luxury Closet will take care of cleaning in order to guarantee items are sold in their best conditions of cleanliness and hygiene. We shall bear any associated fee. Upon delivery, the Luxury Closet shall maintain adequate insurance coverage for the consigned merchandise including risks of fire, flood, theft, and damage. All risk of loss or damage to the merchandise in transit up till the item is inspected by The Luxury Closet shall be borne by you. If the condition of the item is re-evaluated to be poorer than earlier estimate, The Luxury Closet deserves the right to reduce the payout amount for the item. Free pick up only If you are in the GCC, email us your phone number and address to arrange a free pickup through Aramex. The Seller agrees to following standard procedures for watch authentication and processing before The Luxury Closet will proceed with quotation and publishing. Movement verification: The seller agrees that in order to check the genuinity of the watch, The Luxury Closet will check the watch’s movement before moving the product to further steps of authentication. While assessing the watch, The Luxury Closet’s watch authenticators will check its movement, which may involve opening and closing of the closed case back.The Seller agrees and acknowledges that The Luxury Closet is not liable for any issue or damage whether mechanical, technical, functional, aesthetic or any other issue that it may have or acquired during shipping, delivery or transition. Opening of the case back is only required in case of closed case back watches and happens without compromising the condition of the watch. If the seller has any objection regarding opening the case back, The Luxury Closet has the right to reject the watch if we are unable to authenticate the watch. If the watch is new and sealed, The Luxury Closet holds rights to open the seal to authenticate and photograph the watch. Quartz watches: Irrespective of the value of the watch, all Quartz case backs will be opened for a mandatory authentication check. Automatic and manual watches with closed case back (ONLY): Automatic and manual watches with closed case backs valued over $30,000 or in mint condition, will be sent to The Luxury Closet third party vendor or authorised service centers to open case back for authentication purposes. For exhibition case- and see-through case back watches there is no requirement to open the case for authentication. It has a water resistance of 500 meters and above / 1000 meters and above. The Luxury Closet may perform minor servicing like battery changes, oiling, greasing and dust blowing the parts; resetting the chronograph for quartz, time and date. Batteries are only changed for non-functioning watches and The Luxury Closet holds rights to discard the old and non-functional battery. The Luxury Closet does not perform any other repairs, actions, or maintenance to the watch mechanics or its aesthetics. Only aftermarket diamonds and non-original straps are accepted modifications. Third party associates, bloggers, influencers, social media celebrities, celebrities and any other party that is involved in media promotions in any way is termed as "Partners". The Luxury Closet welcomes and runs several partnership programs with bloggers, and influencers for promotions. The Luxury Closet at its discretion can choose to continue or discontinue the partnership. The intention of this partnership is for promotion and The Luxury Closet is not obligated or liable to pay for any such activities or events that the Bloggers or influencers might conduct or hold. Bloggers and influencers are bound by the contract that is given out to you at the start of the partnership. Item(s) that are loaned to partners, influencers, and bloggers must to be returned to The Luxury Closet within 7 days of loan out. The items must be returned in their exact condition with all that is included, packaging and tags attached. If the item(s) are found damaged or missing packaging/tags etc. upon return, the partner, blogger, and influencer is obligated to pay full price of the item as a damage fee. The Luxury Closet holds all rights and discretion to decide and negotiate the damage fee in any such event. "Partner with us" program is purely for agents who help us source items. The commission and conduct by the agent is solely based on the initial contract. In case of social media mentions, the partner is obligated to give full credits due to The Luxury Closet. Social media tags and mentions should be placed in a very visible and "exclusive" manner. Partners must use @TheLuxuryCloset to tag The Luxury Closet along with a mandatory, "exclusive" and dedicated caption. The Luxury Closet shall, time and again, conduct social media competitions. Winners to such competitions are randomly selected. The Luxury Closet reserves rights to not disclose the details of participants to the competition.